Please familiarize yourself with our CSA Policy prior to sign up, it really helps make for a smooth season. Please let us know if you’ve got any questions and we’d be happy to answer them for you. Returning your box and lid each week, clean. Usually a quick wipe inside your box with a cloth is sufficient. This is really important as we do not have the time to clean each bin each week. Notifying the farm for any ‘vacation holds’, any missed boxes will be donated or used by farm employees. We do not have the capacity to store CSA boxes or the free time to make arrangements with members to pick up their CSAs outside of the set pick up days. Paying the farm on time. As we buy most of our tools, seed, equipment in the Spring, cash flow is really important to us. Since farming involves many weather related risks, consistent quantities of harvest cannot always be guaranteed. While we strive to provide full shares every week, there is the possibility of unforeseen weather related issues causing us not to be able to fulfill our weekly shares. This is part of the risk members take in being shareholders in the farm, although since we grow such a large array of vegetables we do certainly not predict we will be unable to provide members their shares. The biggest benefit is fresh, Certified Organic, in season produce. 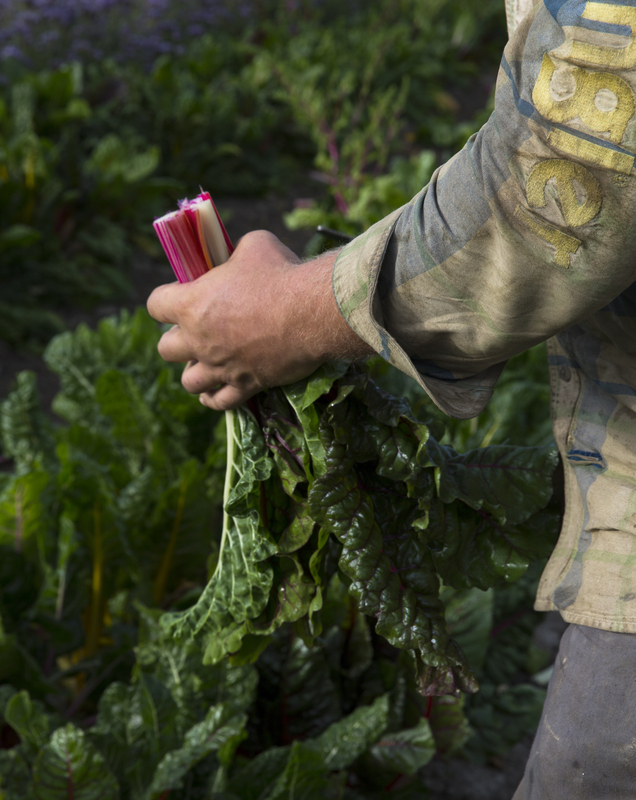 Produce full with nutrients that’s been freshly harvested with unbeatable quality. Many members tell us how excited their children are about picking up their weekly box of veggies and how it has become a game changer in the kitchen. Every season is different and we love sharing our farming adventure with you, through newsletters, facebook and instagram. Weekly farm stories and recipes are included in each box to expand both your farm and culinary knowledge. Your CSA share is full of extra value! We host an online farm store, during the season you can add items to your share. If you want some flexibility in what you get each week, a great option is to get a small summer share and top it up each week with items you can choose to purchase from the online farm store. Orders must be placed by Wednesday midnight for weekend pickups and Sunday midnight for Tuesday and Wednesday pickups. Shares and the online farm store items are payable by cheque, e-transfer, cash or through Paypal. For online farm store items paid via cheque or cash, members can mail in or drop off payment during the pickup. We really like the cheque and e-transfer options, paypal transactions adds extra costs to our farm, we truly believe in the importance of keeping money in our local economy! We use a web-based program called Farmigo for managing shares. This program allows members to create an account, register, add options, add items from the webstore as well as make changes to their accounts. Members are responsible for managing and updating their information. We understand that you may not be able to pick up your share some weeks. While our preference is for members to find friends or family to pick the share up while you are away, we know that this is not always possible. We offer the option to place your box on hold. Each member is allowed two holds throughout the summer season. For each box you place on hold, we will credit $27.50 to your account, up to a total of 2 holds or $55.00 for Medium Share size, $17.50 per week for a Small Share size to a total of $35.00 and for a Large Share, $37.50 per week to a total of $75.00. For the Winter Season, we offer one hold and issue a $25.50 credit. You can use the money towards items in the online webstore or to a credit for next season’s share. We do not payout members for weeks they put their box on hold. We typically start harvesting 1-2 days before each pickup so holds must be placed Sunday midnight for Tuesday and Wednesday pickups and by Wednesday midnight for Saturday and Sunday pickups. Members may choose to put their box on hold for more than the times stated but will not receive any form of reimbursement for additional weeks. You can place a hold on your share through accessing your account through the farmigo program. We do not have the capacity to store CSA boxes or the free time to make arrangements with members to pick up their CSAs outside of the set pick up days. If at some point in the season you find you need to change your pickup location please contact the farm and we will work with you to fit you in to another pickup location. We communicate with members via email on a regular basis. We send out weekly newsletters as well as inform members of any changes or payment requests. It is the responsibility of the members to read emails in a timely fashion as they pertain to the CSA program. We also have a facebook, instagram and twitter page, where we add photos and share what is going on at the farm. We will provide full refunds minus a $25 administrative charge to members up to 2 weeks before season has started. Once the season has begun we cannot provide refunds for a members share unless there is someone on the waitlist who is willing to take it over. Please contact us if unforeseen circumstances arise and you are unable to fulfill your commitment. We will happily work with you to provide the best outcome for both parties, but ultimately it is at the discretion of Cropthorne Farm to provide refunds once the season has started. $25 administrative fee charged.